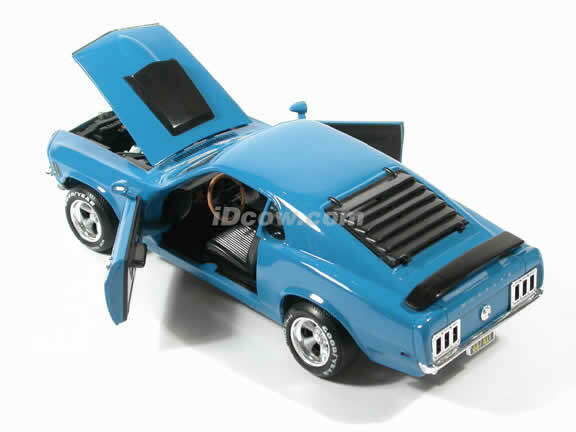 Highly detailed 1970 Ford Boss Mustang 429 model die cast car 1:18 diecast by Ertl. 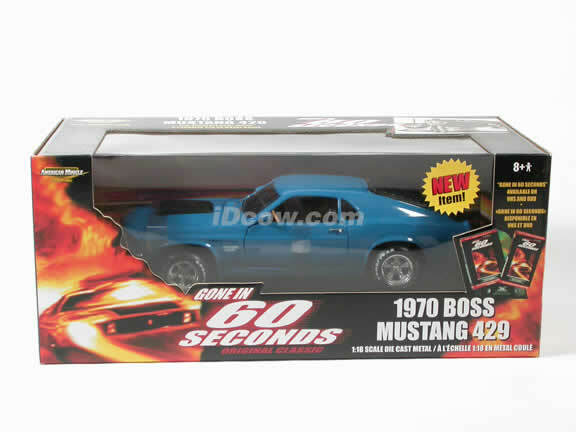 A runaway theatrical hit in 1974, GONE IN 60SECONDS defined the genre of the car-chase film and became an instant classic among action movie fans. The assignment: Steal 48 muscle and exotic cars. The challenge: don't get caught! When the cops catch up with master car thief Maindrian Pace, he has no choice but to rock them through a full-throttle chase, wrecking five cities making his escape. 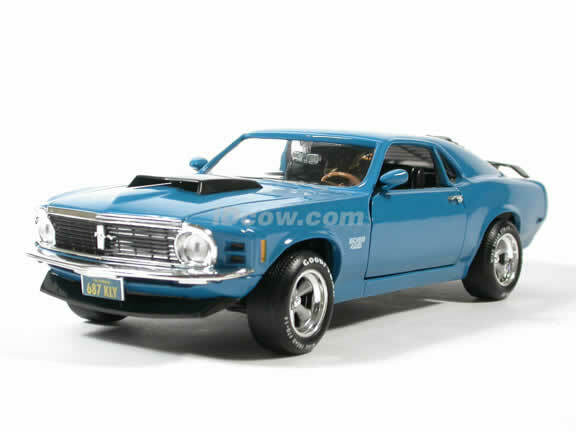 Behind the hweel of souped-up Ford Mustang Mach 1 "Eleanor," GONE IN 60 SECONDS is raw filmmaking at its best, with spectacular stunts and unstoppable action. Every details are well put together. Great collectible or gift piece. 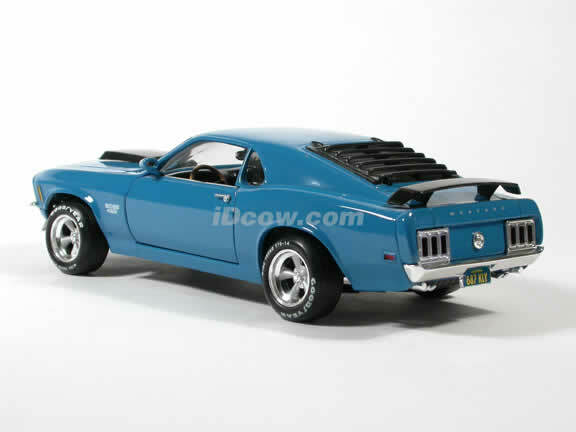 1970 Ford Boss Mustang 429 model die cast car 1:18 diecast by Ertl.